One of the top reasons to visit Berlin is the simple fact that it is the capital and largest city of Germany. Truthfully however, this is not enough reason to go there. And so we bring you six reasons why you should visit this city for business or pleasure. 1) Eat döner kebabs. It is the staple street food in Berlin and more popular than the “currywurst” which so many people recommend. Costing only 2 Euros, it is a cheap way to fill your stomach. The döner kebab originates from 1971 and was created by Turkish immigrant Mahmut Aygun. He made it for his restaurant called Hasir which is still open to this day. 2) Berlin has an upbeat nightlife. Most people in the city are young and are responsible for the lively night scene. Northern Neukolin is one of the most popular hang-outs in the city but if you want the same buzz minus the attitude, Kreuzberg is a better destination. 3) Oranienburger Strasse is not wildly popular among tourists but a good place to get cheap cocktails. A thriving nightlife is one of the top reasons to visit Berlin, Germany. 4) Berlin is the historic center of Germany. Explore important sites of the Third Reich such as Lutwaffe HQ. Take a walking tour of Topographie des Terrors which displays the horrors of the Nazi era. Reichstag, the throne of the German Parliament, is one of the best reasons for visiting the city. While its original structure burned down in 1933, it was renovated after German unification. The best attraction in Reichstag is the glass dome. 5) Pay your respects to Holocaust victims. A Holocaust Memorial was set up in Berlin in their memory. The memorial, though controversial, is one of the top reasons to visit Berlin. It has a unique structure wherein as you get closer, the concrete blocks become larger; as if to intimidate you. It was designed by Peter Eisenman. 6) Berlin has the most amazing street art. Others even jokingly call it the “street art capital” of the world. 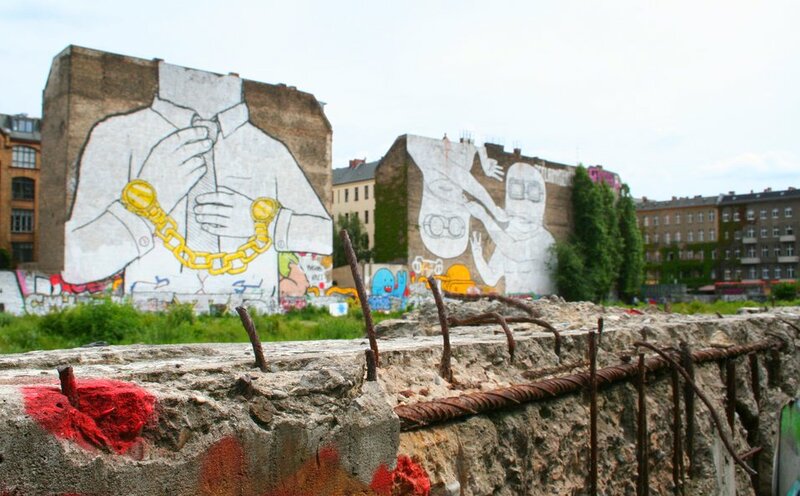 For the best graffiti, walk around Kreuzberg and Friedrichshain.